Computers have become the new age notepads. Most of the desk jobs these days undoubtedly have a computer equipped with them. In the world of computers, programming has become the next big job profile. However, sitting at a desk for long durations of time while staring at a computer screen requires adaptable chairs. If you are a programmer or software engineer, it is imperative to make sure the furniture you sit on provides maximum support and comfort. 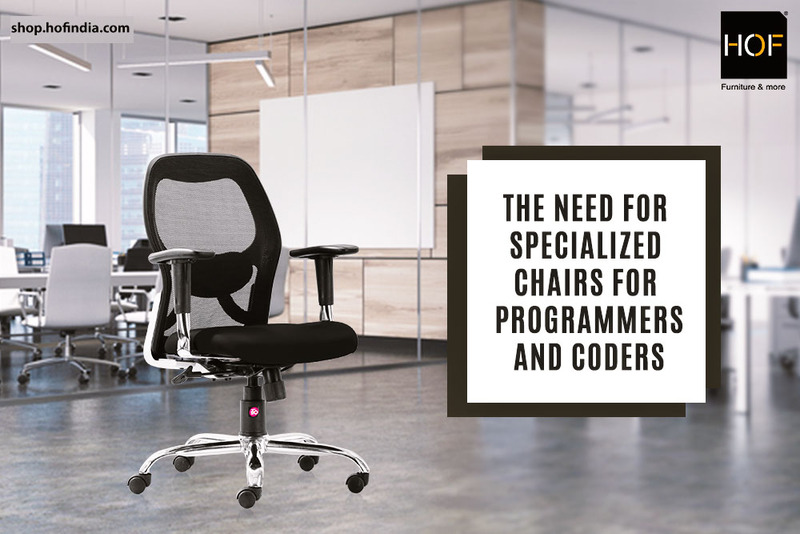 A good office chair that is programmer-friendly is the best option for anyone who is starting a career as a programmer or coder. The key point to remember is to try out several chairs without making a hasty decision. Since you have to spend all of your time on that piece, it is important to make sure the feel of the chair suits your demands. All office chairs must be compared on the criterion of fit before style. The best fitting chair will serve as a durable long term investment for everyday needs. After getting the fit right, the next feature to consider is the amount of adjustability the chair provides. Modern ergonomic office chairs are built with advanced technology to enhance the seating experience of the user. As a programmer, your chair must have adjustable armrests, flexible knee support mechanisms and integrated into a revolving chair for smooth movement and ease of access. Office chairs that sink you in are uncomfortable and cannot facilitate proper posture. The type of material and fabric that is used to make office chairs is essential as your body is in direct contact with the seat. All materials have their pros and cons but certain materials such as mesh are porous and breathable and give adequate support to your back as well as neck. As a professional that spends an extensive amount of time in front of monitors and keyboards, it is not only recommended but extremely significant to create a well-balanced and personalized arrangement to help your posture and prevent workplace injuries. At HOF, we understand that different professions require different chair solutions. Visit shop.hofindia.com TODAY to go through our exhaustive range of ergonomic office chairs for the new age programmers and coders of the 21st century!